This cemetery is 6 miles from Fairview Park on the coast road to Howth. It is situated on the grounds of an old church and is still active. 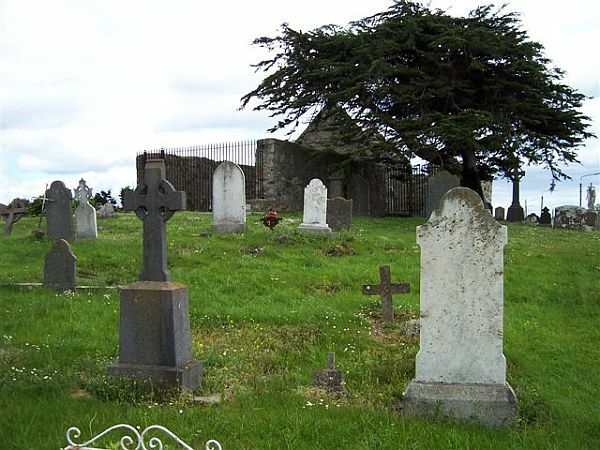 This cemetery is owned by the Dublin Corporation and administered by the Fingal County Council. Kilbarrack Cemetery is comprised of an old section and new section. The old section contains the coastal church ("mapped as Kilbarrack Church, in ruins"). The church was a point of call for mariners, and it is noted in some records as the Chapel of Mone. At one time, ships entering Dublin Bay paid monies to the city authorities towards the upkeep of the chapel. The old section includes the grave of the "Sham Squire."